Christina Luna of Colorado Springs competes in "The Titans Games, Trials 2," airing Thursday, Jan. 10 at 7 p.m. MST on NBC. Christina Luna, left, of Colorado Springs, competes with contestant Melissa Alcantara in "The Titans Games, Trials 2," airing Thursday, Jan. 10 at 7 p.m. MST on NBC. Christina Luna of Colorado Springs competes in “The Titans Games, Trials 2,” airing Thursday , Jan. 10 at 7 p.m. Thursday MSTon NBC. 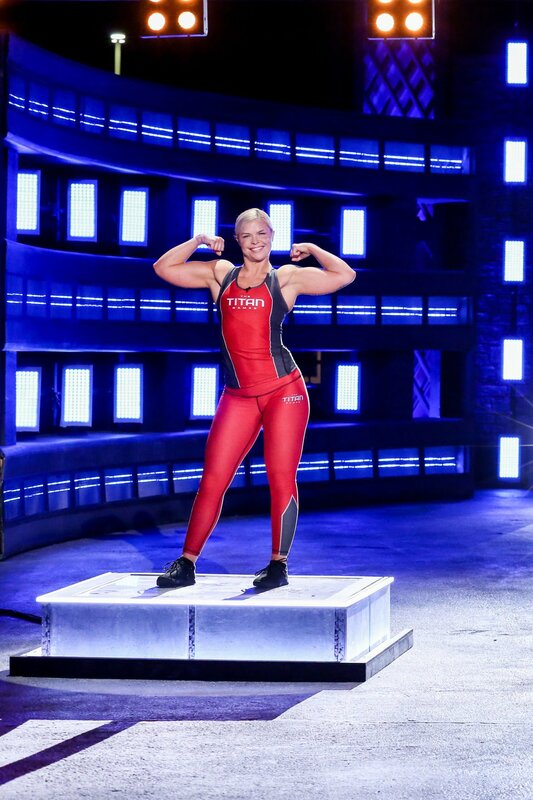 Christina Luna, 33, of Colorado Springs will be one of eight competitors battling on NBC’s “Titan Games” at 7 p.m. Thursday. Luna, who is in the Colorado National Guard, couldn’t tell us the outcome of the episode, but she filled us in on her experience so far with the show, which premiered Jan. 3 is hosted by and executive produced by actor Dwayne “The Rock” Johnson. If Luna wins the episode, she has a chance to move on in the competition and a shot at the grand prize of $100,000. Gazette: You’re a single mom to two daughters. How old are they, and what do they think of the show? Luna: My daughters are 7 and 9. They were super excited when they learned I was going to be on the show. The day I learned I was going to be on it, my car got totaled in the big hailstorm we had a few months ago. I wasn’t going to go to the gym that day because of my car, but they said, “Mommy, you have to go to the gym! You have to train for the ‘Titan Games!’” They’re my No. 1 supporters. ... they were like, “You get to meet the guy on ‘Jumanji?” (meaning The Rock). They were so excited. Q: How did you hear about the show? A: They tracked me down on Instagram (@beastingthebeauty) and asked me if I’d be interested in applying. First of all, I didn’t believe it. They said they wanted everyday people, and I’m the top contender for the everyday person because I don’t compete. I do my mom stuff. I train in the National Guard. I do my job. This is definitely out of my comfort zone. But we all know everything The Rock touches turns to gold. Q: Can you describe your training regimen? Do you think training in high altitude in Colorado Springs gave you an edge? A: I stuck to my same training, going as much as I could to classes at Crossfit Pandora’s Box in Colorado Springs. I think training in the altitude came into play a little bit. But ultimately when you’re in front of that crowd and under those lights, you’re not prepared for that. Q: The show challenges are based on The Rock’s own training and wild ideas. What was the hardest challenge in preparation for the show? Q: You’ve become a bit of an instant celebrity. How are you handling your new fame? A: “It’s exciting that people are looking up to me or finding inspiration. But it is a little overwhelming because I feel that need to respond to everybody on social media. Getting back to everyone is honestly a lot when I work full time and I’m a single mom. It’s cool, but it’s also like, “Woooo.” It’s a little much. I’m just trying to represent Colorado the best I can. This is a fit state. Everybody here is active. Q: What’s next for you? Will you return to the Springs? A: I’m on my lunch break right now. I’m a dental hygienist at Cheyenne Mountain Modern Dentistry. And I have to be at Buckley (Air Force Base) this weekend for the National Guard. Q: What’s your best tip for good oral hygiene? A: Definitely floss. And I recommend using the Sonicare toothbrush. If anyone wants their teeth cleaned, they can come and see me.